Make America Great Again-Enact Gun Reform! Colbert Pleads with Trump: DO Something About Guns! WHOA! Stephen Colbert just went there!Shared by Occupy Democrats; like our page for more! Author John HannoPosted on October 4, 2017 October 4, 2017 Categories Health - Happiness, Injustice Anywhere is a Threat to Justice Everywhere, MLK jr, Labor and Working, Politics in America, Today's News?, VeteransLeave a comment on Make America Great Again-Enact Gun Reform! Remember the day after 9/11, when politicians scolded us, “Now isn’t the time to talk about terrorism”? Yeah, I don’t either. People typically have to apply themselves to reach new benchmarks, and it is indisputable that we, as a society, have applied ourselves to reach this one. At a certain moment in the darkness of Sunday night, Las Vegas, a city that serves as a monument to the American willingness to suspend disbelief, became the setting for a macabre performance that we have seen many times before, one we wish could be permanently cancelled, one which summons an entirely different sort of disbelief. The First reports in the early hours of Monday announced that an unnamed gunman, firing from a perch high up in the Mandalay Bay hotel, had killed at least twenty people, at a Jason Aldean concert at an outdoor venue on the Vegas strip, and injured as many as a hundred more. Aldean now joins Ariana Grande and the Eagles of Death Metal as an entertainer who has seen his attempts to inspire joy be corrupted into tableaux of incalculable grief. The vantage point of a shooter thirty-two stories in the air, firing an automatic weapon at a crowd on the ground, meant that the attack in Las Vegas would generate horrific numbers of injuries—the gunfire amplified by the likelihood of people being trampled as they fled. By dawn, the number had ticked upward to “at least fifty” fatalities. The headlines soon began referring to the tragedy as the worst mass shooting in the last century of U.S. history, surpassing the previous incident to hold that title in less than two years: in June of 2016, the massacre in the Pulse night club, in Orlando, resulted in forty-nine deaths, excluding that of Omar Mateen, the gunman who was killed when police breached the building. There is a grim record-keeping involved here, one that itself highlights the ways in which the horror of mass shootings begins to blur, owing to their sheer frequency. By mathematic calculation, the deadliest shooting is “the worst.” But, by a different measure, five years ago, we didn’t think that any shooting could be worse than the one that killed twenty children, just six and seven years old, and seven adults, in Newtown, Connecticut. Two summers ago, we felt something similar when nine people in a Charleston church were murdered by a young man whom they had invited to join them in prayer. And how are we to categorize the shooting of Gabrielle Giffords and seventeen others, given that it not only struck at innocents but also at a fundamental rite of democracy—of citizens engaging their elected representative? The distance between forty-nine dead in Orlando and at least fifty-eight in Las Vegas is sixteen months. The deadliest shooting before Orlando, the massacre at Virginia Tech, which claimed the lives of thirty-two people, held that terrible distinction for nine years—not a small amount of time, but damning by another measure, in that our “worst” tragedy could not exist for a decade without being surpassed. People typically have to apply themselves to reach new benchmarks, and it is indisputable that we, as a society, have applied ourselves to reach this one. As with arenas of positive human achievement—the tallest building, the fastest plane, the longest period of time spent in space—these records are a reflection not simply of the determination of the individual but of the advent of new technologies designed to assist them. Stephen Paddock, the alleged Las Vegas gunman, was equipped with weaponry far advanced from the collection of firearms that Charles Whitman used to murder fourteen people, from the University of Texas clock tower, fifty-one years ago. The growing number of mass shootings in the United States provide case studies not only for law-enforcement officials but also for those with ulterior motives. After Newtown, Wayne LaPierre, the C.E.O. of the National Rifle Association, said, “The only thing that stops a bad guy with a gun is a good guy with a gun.” But in Las Vegas the only thing that have could have stopped a sniper hidden behind a bank of windows on the thirty-second floor of a building, shooting at people twelve hundred feet away, would have been the unlikely presence of a similarly armed sniper located at a vantage point that gave him or her an open shot at the perpetrator. We have no idea what Paddock’s motives were, but it is not hard to imagine that he chose his location because it would be difficult for a hypothetical good guy with a gun to locate him, much less take counter-measures. Donald Trump announced his condolences to the families of those who died, and are still dying, in Las Vegas. “May God bless the souls of lives that are lost,” Trump said. He also denounced the massacre as “an act of pure evil.” This is true. But it is an entirely predictable, politically abetted evil. Matt Bevin, the governor of Kentucky, tweeted, “To all those political opportunists who are seizing on the tragedy in Las Vegas to call for more gun regs . . . You can’t regulate evil . . .” But this is a purpose of law—to regulate evil. One measure of the development of a civil society is the obstacles that we place in the path of those who would commit acts of great harm to innocents. By Monday afternoon, it was reported that gun- and ammunition-manufacturers’ stocks were rising. We have done the opposite in the five years since the Newtown shooting ignited a renewed interest in gun reform. The attack in Las Vegas is the worst mass shooting right now, not because of the number of the dead but because it reveals, yet again, that our steadfast refusal to do anything different is enabling those who wish to give us more of the same. Writing on Twitter on Monday, Matt Bevin, the Republican Governor of Kentucky, said, “To all those political opportunists who are seizing on the tragedy in Las Vegas to call for more gun regs . . . You can’t regulate evil . . .” Perhaps not. But, as countries such as Australia, Britain, and Canada have demonstrated, you can certainly regulate the sale of guns, especially weapons of war, to good effect. Between 1979 and 1996, Australia had thirteen fatal mass shootings. Since 1996, when the country introduced a law that banned the sale of semiautomatic weapons and launched a buyback program for weapons that had already been sold, there have been no mass shootings. None. The United States, by contrast, introduced a ban on certain semiautomatic, military-style weapons in 1994—but allowed it to lapse, in 2004. While there is no agreed-upon definition of what constitutes a “mass shooting” and what constitutes merely another deadly entry on the police blotter, there is little doubt that the frequency of large-scale gun atrocities has increased in the past decade. 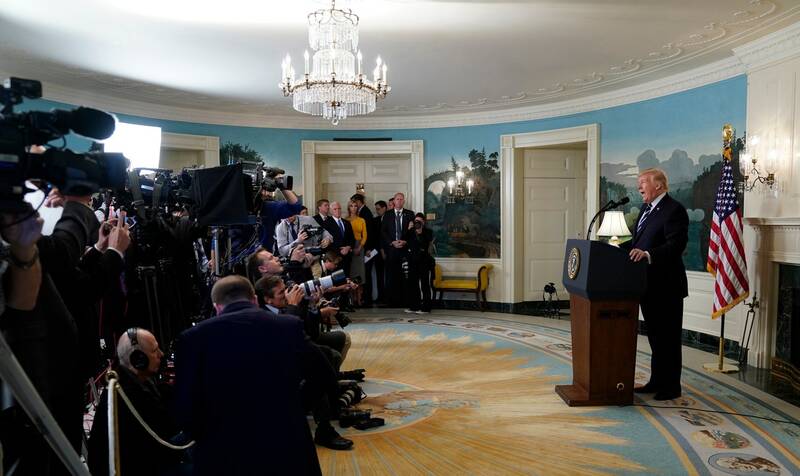 Obama didn’t come out and say it explicitly, but he was suggesting that the U.S. government, in its totality, is abandoning one of its basic duties: the protection of its citizenry from readily identifiable threats. And, of course, Obama was right. Of all the ways in which American democracy is showing symptoms of turning into a dysfunctional state, the inability to face down the gun lobby is surely one of the most egregious. In the statement that Donald Trump read out on Monday morning, in the Diplomatic Room of the White House, he didn’t mention guns, gun laws, or semiautomatic rifles—at least ten of which were reportedly found in the hotel room of the alleged Las Vegas gunman, Stephen Paddock. Trump’s omissions were hardly surprising. Addressing the National Rifle Association in April, the President declared, “the eight-year assault on your Second Amendment freedoms has come to an end,” and added, “You have a true friend and champion in the White House.” In February, the President signed a law that made it easier for people with a history of mental illness to buy guns, including semiautomatic rifles. Elsewhere on Capitol Hill, preparations continued for the passage of the Sportsmen’s Heritage and Recreational Enhancement Act of 2017, a carefully misnamed piece of legislation that would make it easier to import assault-style rifles, transport weapons across state lines, and purchase silencers—the sale of which has been strictly restricted since the nineteen-thirties, when they proved popular with gangsters. Last month, the House Committee on Natural Resources marked up the SHARE Act and passed it. Until the shooting in Las Vegas, it had been expected to go to the floor of the House as early as this week, and its supporters, including the N.R.A., were expecting a victory. “There has never been a better opportunity to pass this important and far-reaching legislation,” a piece on the Web site of the N.R.A.’s Institute for Legislative Action noted last month. Following the massacre in Las Vegas, the Republican sponsors of the SHARE Act will probably let a little time elapse before they put it to a vote. But there is little reason to suppose it won’t ultimately get majority support, at least in the House, while efforts to tighten up the gun laws will continue to flounder. In a failing state, that is how things work. 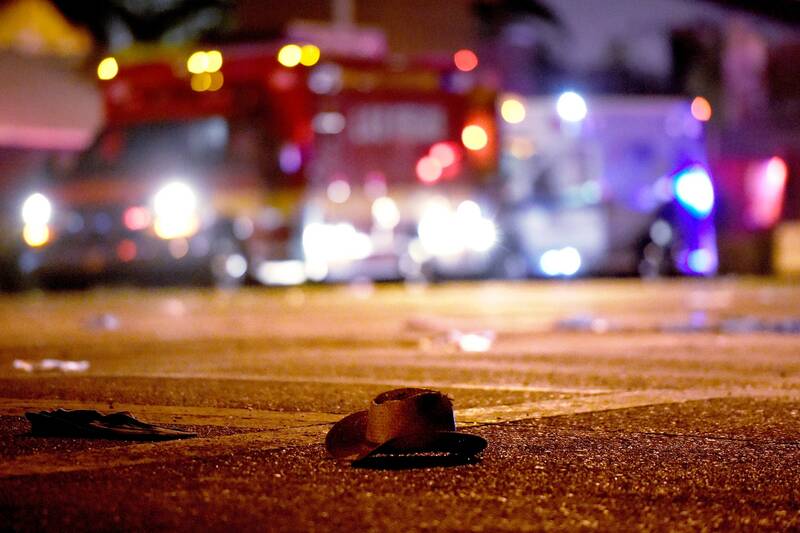 If Newtown Wasn’t Enough, Why Would Las Vegas Be Enough? Both of these men have been proven wrong, most recently by the events Sunday night in Las Vegas, when a 64-year old man named Stephen Paddock opened fire on a crowd of 22,000 people gathered for a country music concert. At this writing on Monday morning, 50 people were dead and several hundred wounded. (Editor’s note: As of 11:42 a.m., 58 people are dead and 515 wounded.) The number of the dead almost assuredly will rise. This makes Paddock’s unfortunate exercise of his Second Amendment freedoms the deadliest mass shooting in history. This makes Paddock’s unfortunate exercise of his Second Amendment freedoms the 273rd mass shooting in the United States this year. They have taken the legitimate right of all people to self-defense and twisted it, for their own purposes, into a demand for ritual atonement on the part of an imaginary universe filled with nothing but bogeymen. For the president*, this helped him attain the office he now holds. For LaPierre, it made the people for whom he was the frontman wealthier than they ever were before. Editor’s Note: This post has been updated to clarify that the Lawrence, Kansas, shooting took place before the Las Vegas shooting, not after. Author John HannoPosted on October 3, 2017 October 3, 2017 Categories Health - Happiness, Injustice Anywhere is a Threat to Justice Everywhere, MLK jr, Labor and Working, Politics in America, Today's News?, VeteransLeave a comment on If Newtown Wasn’t Enough, Why Would Las Vegas Be Enough? Josh Abbott Band guitarist Caleb Keeter took to Twitter on Monday morning (Oct. 2) to share his thoughts on gun control in the wake of the Las Vegas shooting that left more than 50 people dead and 500 injured. The Texas country group performed at the Route 91 Harvest festival on the Las Vegas Strip on Sunday afternoon (Oct. 1), where hours later an active shooter began firing into the audience from the 32nd floor of the Mandalay Bay Resort and Casino. Keeter, previously a lifelong gun rights advocate, said witnessing the ensuing chaos firsthand caused him to realize how ineffective he and his crew were as the incident unfolded. The guitarist added that his bandmates and crew couldn’t access their firearms during the attack because police could have mistaken them for attackers as well. He praised the police officers for defusing the situation as quickly as possible, and said the shooting gave him a wakeup call on the need for tighter gun legislation. Read Keeter’s statements in full below. The next time someone tells you that climate change is caused by natural forces, feel free to tell them that they’re right. Just don’t forget to explain why. While Interior Secretary Ryan Zinke’s accusation about the loyalty of his workforce is the Trump administration’s most outrageous statement about federal employees, it fits a deplorable pattern of verbal aggression against them. Zinke’s declaration that “I got 30 percent of the crew that’s not loyal to the flag” is an escalation that demands denunciation. Zinke’s suspicious transfer of dozens of senior executives, which is being investigated by the department’s inspector general. Trump’s pledge to “drain the swamp.” That can include much of Washington, but feds took it personally. Conspiracy theories about a “deep state” of federal bureaucrats determined to sabotage the Trump administration. Trump’s talk about a “good shutdown,” which would hurt federal employees more than anyone. The Trump transition team’s attempt to get the names of Energy Department staffers who worked on climate change. That’s a distinction without a significant difference. It does nothing to lessen this latest example of the administration’s toxic mistrust of the workforce. The loyalty that federal employees owe is to the Constitution, the nation and the American people. Staffers are obligated to implement the administration’s policies, but their allegiance is not to Trump and Zinke, Interior’s commanders, as individuals. Zinke’s comments leaves his staff dismayed, on edge and offended. The Trump administration has difficulty understanding American fidelity, as the president showed when he told then-FBI Director James B. Comey: “I need loyalty.” Trump didn’t get it and later sacked Comey. Chaffetz made a point of quashing fed-bashing before he left Congress this year as chairman of the Oversight and Government Reform Committee. But he believes in the deep state. “I do believe there is a deep state that acts to protect itself and embarrass others. I think that, too, is wrong. But you have to find the individual perpetrators,” he said. That doesn’t mean insulting almost a third of your employees. What he shouldn’t do is accept the glorification of traitors while questioning the loyalty of public servants. Nothing is more disloyal to America than killing its soldiers and fighting to tear it apart in defense of slavery and white supremacy. Evan Bogart never wanted to sleep in a tent again. Between 2004-2011, he’d served in the U.S. Army as an infantryman and spent three long combat deployments in Afghanistan and Iraq. He’d spent a good portion of his years in service living in a tent in hot and hazardous deserts. 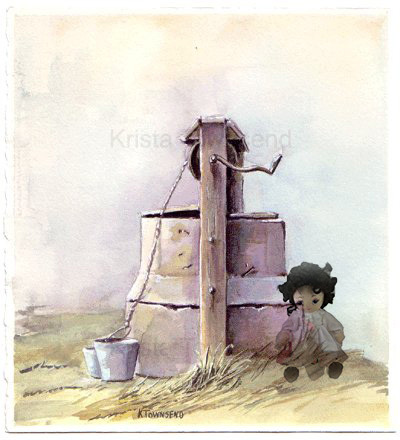 He’d had enough of the outdoors; he wanted to be in places with air conditioning, electricity and no reminders of the war-torn lands he had experienced. Then in 2017, one of Evan’s closest friends, who had served beside him in combat, convinced Evan to participate in a trip to Yellowstone National Park with Sierra Club’s Military Outdoors program. Evan agreed, knowing he was ready to move past his current lifestyle and become an active participant in the world again. He wanted a way to transition away from the drugs and alcohol and pursue an active, outdoors life instead. The Military Outdoors trip to Yellowstone was designed to expose participants to the National Park’s beautiful landscapes and ecosystem through the lens of fly fishing. Evan had wanted to learn the art of fly fishing for a long time, but he never knew quite how to get started or when to make time for it. The cost of gear and instruction had also been a barrier for him. This trip was exactly what he was looking for in his life. Evan met the group of Military Outdoors vets in the Lamar Valley, where they stayed in cabins at the Buffalo Ranch. The Lamar Valley is a remote, glacier-carved region in the northeast corner of Yellowstone. It is often called America’s Serengeti because it is home to so many animal species including elk, grizzly bears, buffalo, antelope, wolves, otters, coyotes and eagles. Evan found his favorite part of the trip was taking early morning hikes from Buffalo Ranch up to Ranger Hill. He would sit on the hillside, take in the sunrise, and enjoy the solitude and peaceful quietness. 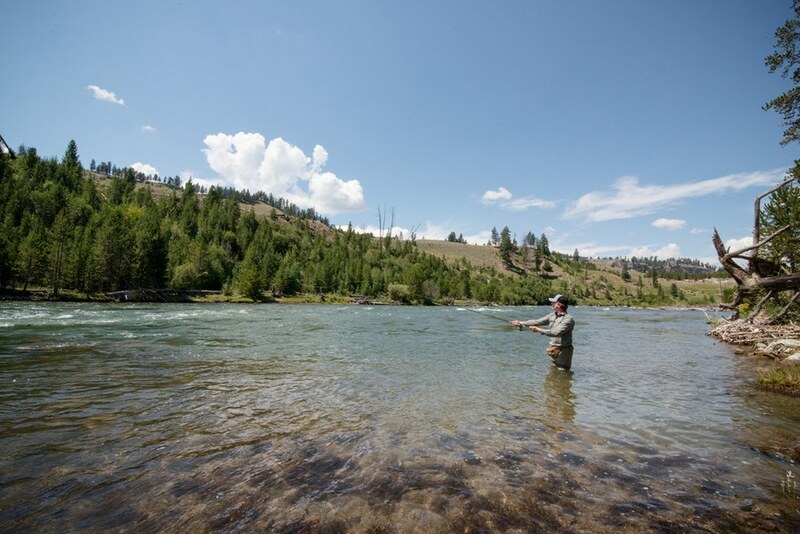 During the day, the veterans received casting instruction and practiced fly fishing on the beautiful Yellowstone River. Many rivers run through Yellowstone National Park, but the Yellowstone River is special. 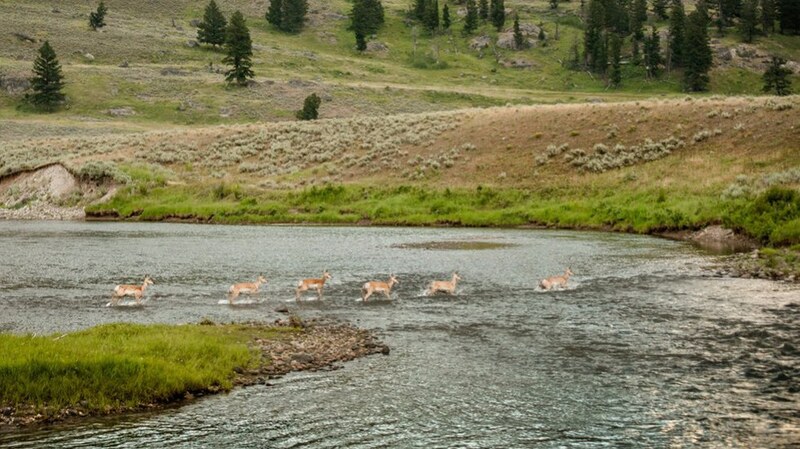 It flows undammed for nearly 700 miles, making it the longest free-flowing river in the continental U.S. It is also one of the best trout streams in the world because the species’ natural habitat is protected. 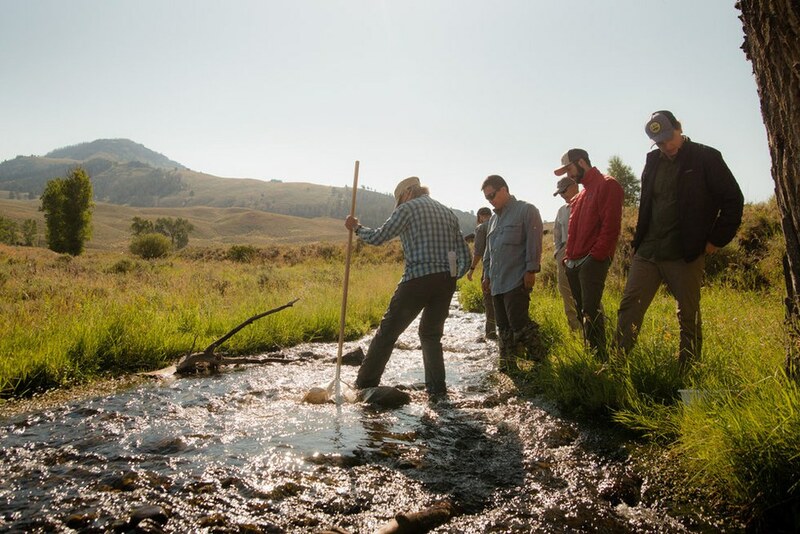 The veterans were joined by fly fishing guides Jesse Logan and Steve Harvey, who taught them how to cast and how to seek out the right time and place to lure the prized Yellowstone cutthroat trout. 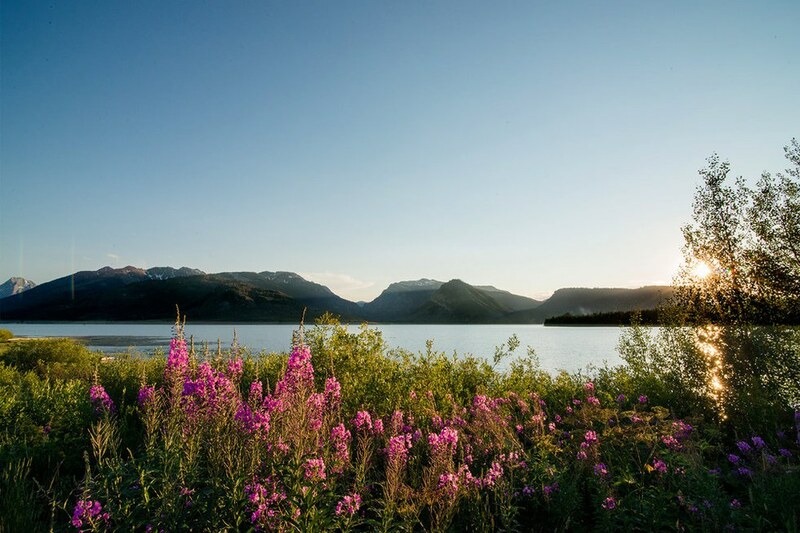 Jesse Logan shared his extensive knowledge of the greater Yellowstone area and how invasive species and floodplain development threaten the river’s ecosystem. Another guest speaker, Doug Peacock, spent time with the veterans talking about the outdoors as a restorative place and the ways veterans can help protect wild places. 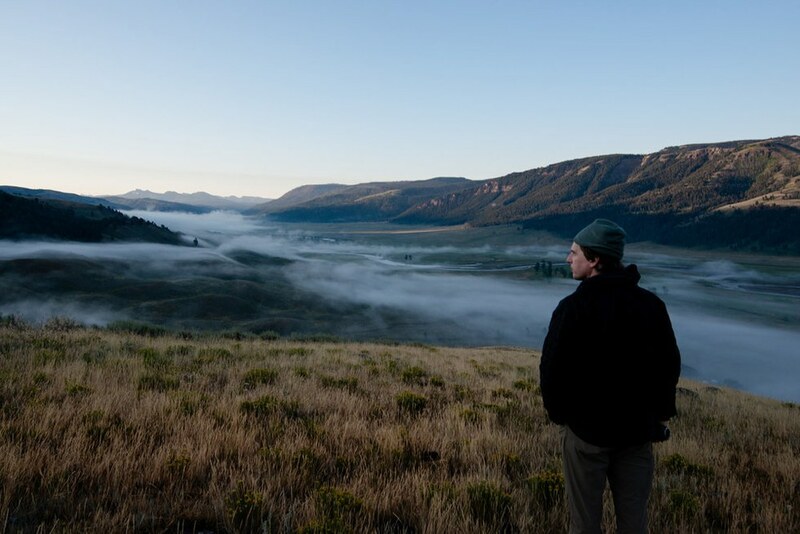 Before this trip, Evan had only seen Yellowstone as a “car tourist.” Afterwards, he walked away more intimately familiar with the Yellowstone ecosystem and inspired to take his new fly fishing skills to other American rivers. Moreover, Evan felt the trip helped him get back into the outdoors and embrace an active lifestyle, which he found strengthened his mental health. The Yellowstone outing wasn’t the only big change for Evan this summer. He also participated in an OARS’ raft guide school, thanks to a sponsorship the Military Outdoors program provides for a few veterans each year. At the end of guide school, Evan had come to enjoy the river running lifestyle so much that he accepted a summer job river guiding for OARS on the American River. He spent the summer at the OARS’ outpost in Coloma, California—living happily in a tent. 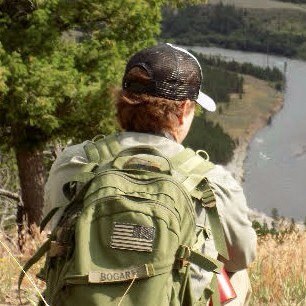 From his time with Military Outdoors, Evan says that the value of these outings is how they reconnected himself and the other veterans to the outdoors. He feels that spending time in the outdoors might be one step toward healing the trauma that he and many vets experienced while in combat. Evan also sees the skills training aspect of the outings as a way to redirect one’s life toward jobs or hobbies in the outdoors. He never imagined he’d learn to fly fish or become a river guide, but now he’s done both. “These trips turned my life 180,” he said. Moving forward, Evan plans to stay involved with the Military Outdoors program and encourages other veterans to be part of the outdoor community. In the future he hopes to use the skills he gained to be a trip leader on other wilderness outings. Photos by Cody Ringelstein or Sarah Chillson.